Your users are mobile and connect straight to their cloud apps. They are no longer behind your security stack and exposed. Your data center is empty, so what is your perimeter still protecting? Your hub-and-spoke network is costly and adds latency. Your users demand a faster connection to their cloud apps. 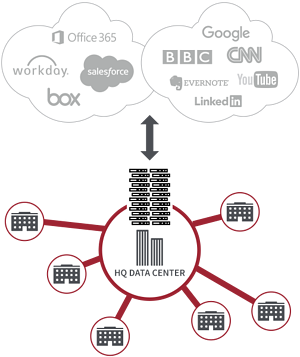 Why continue to backhaul traffic and pay for an architecture that wasn’t designed for the cloud? Zero-days, botnets, and threats hiding in SSL bypass your internet security. You can’t inspect all your traffic because your security stack has performance limitations. With increasing inspection demands, how can your appliances keep up? By moving security to the cloud, all users and locations get always-on security regardless of location. Your perimeter and security policy goes everywhere your users go. Direct-internet connections to a cloud security platform ensures a fast, secure user experience. You reduce backhauling and appliance costs, improve performance and latency, and simplify network administration. A security stack as a service improves protection. Multiple technologies expertly work in unison to stop more threats. Delivery as a cloud service enables unlimited inspection capacity, even across SSL. Easily scale more users and security services as needed. If you can’t understand what your alerts are trying to tell you, what’s the point? The Zscaler admin portal helps you Easily drill down to find and stop botnets, malware and zero-days with a few simple clicks. Instantly identify infected devices and botnets operating in your environments. Block malicious behaviors in unknown files with Zscaler Cloud Sandbox. Gain visibility into your internet and web traffic — all users, devices, and locations. Add next-gen access, user, and app control with Zscaler Cloud Firewall. The global security-as-a-service architecture built in the cloud for performance and scalability. Zscaler security as a service is delivered by a next-generation security architecture built from the ground up for performance and scalability. 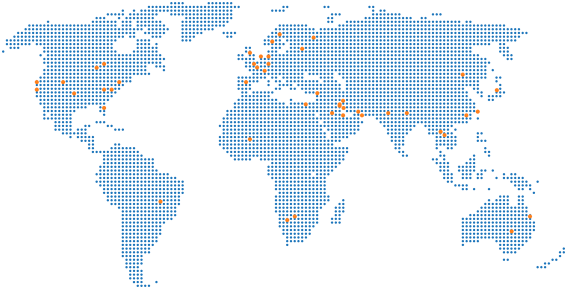 It is distributed across more than 100 data centers on 6 continents, which means that users are always a short hop to their applications, and we peer with hundreds of partners in major internet exchanges around the world for performance and reliability. WHAT DIFFERENTIATES A GLOBAL SECURITY CLOUD? 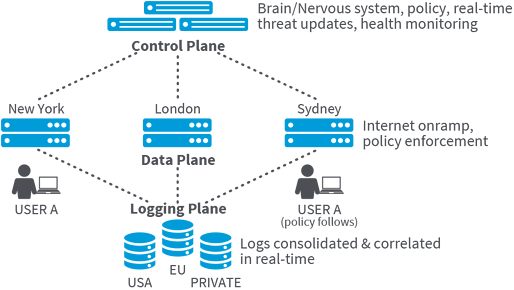 Designed for resiliency, redundancy, and fast performance, the three-tiered Zscaler platform modules comprise the control plane (Zscaler Central Authority), the data plane (Zscaler Enforcement Nodes), and the logging and statistics plane(Zscaler Nanolog Servers). 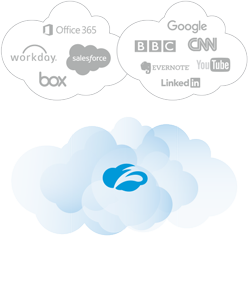 With Zscaler, there is no hardware deploy or manage. By making Zscaler your next hop to the internet you’ll immediately enjoy increased internet security and compliance. Turn on the services you need now, and easily add more as your demands grow or as you phase out appliances.